Luis Salvatto of Hareruya Latin lights his own path to victory in Bilbao with Lantern Control, earning $50,000 and the title of Pro Tour Rivals of Ixalan Champion! The hashtag for Pro Tour Rivals of Ixalan is #PTRIX. Join the conversation. See Pro Tour Rivals of Ixalan as it unravels on the Magic: The Gathering Facebook page! Three days, 465 players, and one very diverse Modern field is a difficult path for any player to navigate toward the title of Pro Tour winner, but Argentina's Luis Salvatto of Hareruya Latin did not hesitate. Lighting the way to victory with the powerful Lantern Control deck, named after its namesake card Lantern of Insight, Salvatto battled through eighteen rounds and multiple difficult opponents to win $50,000 and the title of Pro Tour Rivals of Ixalan Champion. Salvatto has been a mainstay on the Pro Tour for the last two years, turning one memorable Top 8 at Pro Tour Shadows over Innistrad into a string of qualifications that ultimately led him to this day. From there, he had to take down Jean-Emmanuel Depraz's Traverse Shadow in the quarterfinals, and then four-time Pro Tour Top 8 competitor Ken Yukuhiro of team Musashi in the semifinals. Both matches were tight, with Salvatto getting through each round in five games. His path ultimately led him to a final match against Pro Tour Amonkhet Champion Gerry Thompson of MetaGame Gurus Sun. Piloting a Mardu Pyromancer deck, Thompson's cards gave him some game against Salvatto's Ensnaring Bridge, but in the end, the Argentinian mainstay assembled his deck's powerful lock quickly and efficiently, closing Thompson out of three fast games. 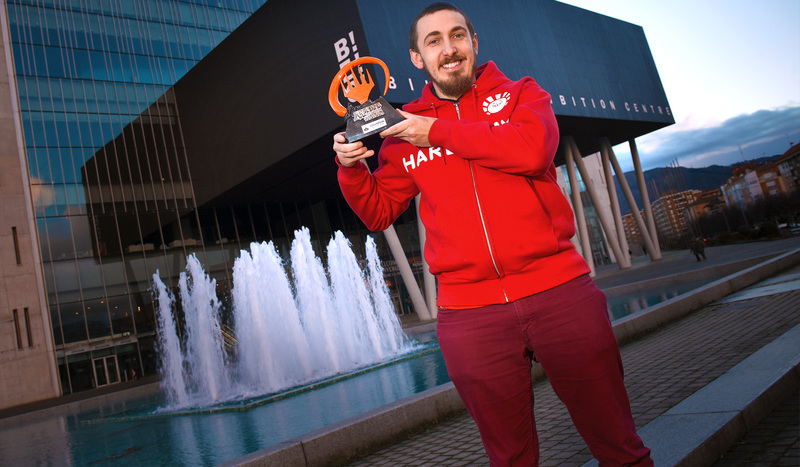 After closing out his best year in the 2016-17 season but falling just a few matches short of some stretch goals, Salvatto's win got him all those missed targets, and has ensured his spot in the 2018 Magic: The Gathering World Championship, where he will be able to battle among the world's best for the very first time. From humble beginnings and a 2015 Super Sunday Series Championship victory, Salvatto's hard work and dedication led to a weekend that will be long memorable. The Top 8 of Pro Tour Rivals of Ixalan is sporting seven different archetypes across players representing seven different countries! Tune in to twitch.tv/magic Sunday at 12 a.m. PT/3 a.m. ET/8 a.m. UTC to see which of the Top 8 competitors will win the $50,000 first place prize and the title of Pro Tour Rivals of Ixalan Champion! Adriano Moscato, one of Italy's 2017 World Magic Cup Top 8 representatives, is the last remaining player at 8-0 after the first day of Pro Tour Rivals of Ixalan in Bilbao, Spain! He and his World Magic Cup teammates put up fantastic finishes all day, and he will be leading his country into the second day of competition in pursuit of his first Pro Tour Top 8. Check back Saturday at 12 a.m. PT/3 a.m. ET/8 a.m. UTC to see whether Moscato will maintain his perfect record as he joins a draft table with Pro Tour champions Lucas Esper Berthoud and Paul Rietzl, with 294 players in total coming back for Day Two with their sights set on a Top 8 finish. Live video coverage of Pro Tour Rivals of Ixalan is hosted on twitch.tv/magic and begins Friday at 12 a.m. PT/3 a.m. ET/8 a.m. UTC.